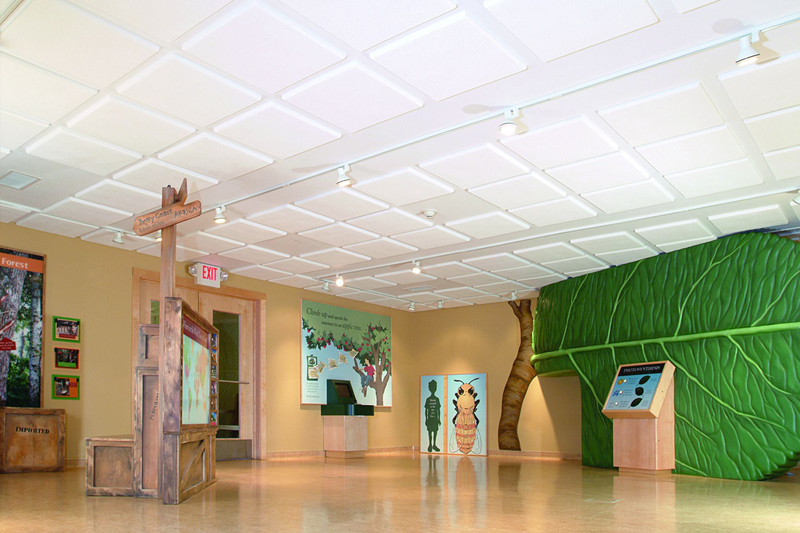 Pinta offers a wide variety of specialty wall and ceiling products including Sonex panels, Prospec, Sonex Wedges, Squareline and Contour ceiling tiles. Products are available in a wide variety of textures, colours, sizes and pattern detail and thickness to suit the specification. Products are constructed using a Class 1 fire-rated Wiltec foam. Pinta products can be used to reduce reverberation in a space, as well as improve sound isolation by contouring noise and minimizing sound transmission through walls and ceilings. Products manufactured by Pinta Acoustics can be recycled by Pinta Acoustics. University of Minnesota Landscape Arboretum. Splash! Sculpture in Betty T. Ferguson Recreation Center - Aquatic Facility. Artist: Xavier Cortada.